Do you have trouble understanding other human beings? Can’t get what they’re thinking? Do you ever just get tired of humanity? You should make yourself a robot. 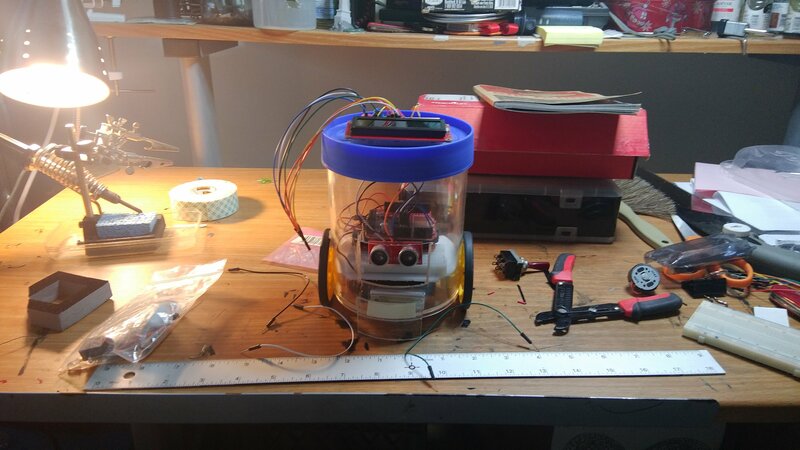 I want to introduce you to my homemade robot. He was the breakaway star of my 24 hour comic book challenge, and I can tell people are clamoring for an introduction. This is Orcrist. 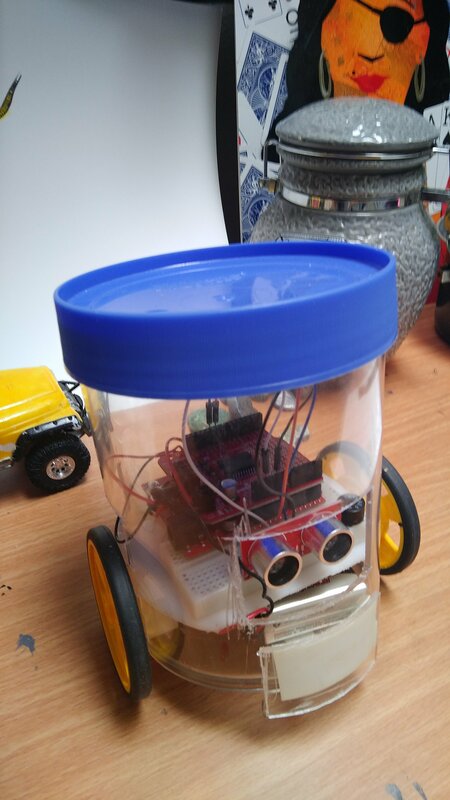 He is an Arduino based robot. This is a continuing project, and I have big plans for him. I consider robotics to be part of my art, but it doesn’t fall into any of the normal art categories. That’s why it’s called SCLECCENTRIC and not SCL Art. To me, a broad self definition is less limiting. At 1.1, Orcrist is quite limited. He beeps, he boops, and he turns left. Sometimes, he turns right. But, just like Zoolander, he is not an ambi-turner. For whatever reason (bad programming), he loves hanging a louie. Robotics is one of my favorite hobbies. It’s really satisfying. This is my third robot, but the previous two were from kits. Making and programming it myself makes it much more of a personal project. I think that more people should try robotics as a hobby. You can get kits to make simple robots, and go from there. Do you have a robot? Show it off in the comments! I will keep posting updates as I continue working on Orcrist. My next plans are to get infared sensors for better navigation. Then he’ll finally be an ambi-turner! ← Why do I make comics?